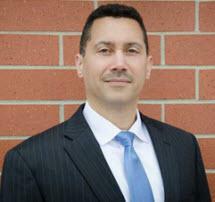 John is a native of Chicago and comes to Castle Law after a successful law enforcement career. During his law enforcement tenure he served in a number of assignments including department legal counsel. As legal counsel John handled numerous legal tasks including employment law, wiretap law, and administrative law matters. John also served as an Army pilot and an infantry battalion commander during his military career.